Florida Advance Directives & Living Wills | DeLoach, Hofstra & Cavonis, P.A. An "Advance Directive" is a term for the family of legal documents that include your Designation of Healthcare Surrogate and Living Will. At our law firm, we are not just form preparers, giving you generic documents that you do not understand, that does not communicate your own wishes or is insufficiently vague. Our job is to provide you and your family with the best guidance possible to make sure you are taken care of and your end of life wishes enforced. Attorney Rep DeLoach is a certified Respecting Choices Advanced Care Counselor and is former Board Chair of Empath Choices for Care (now defunct), an organization committed to end-of-life advocacy issues. A Living Will is a poorly named document because it is neither a "Will" nor a living trust, both of which involve the transfer and care of property upon death. The living will is actually written documents that states your specific intentions on what medical procedures you would want withheld or withdrawn at the end of your life. A Designation of Health Care Surrogate gives the agent of your choice the ability to make health care decisions for you at any time you, even if you are still competent. This is very important to the HIPAA privacy laws that exist today. Is Your Designation of Healthcare Surrogate up to Date? Florida's law changed dramatically with the in 2015 regarding designations of healthcare surrogate. Please follow this link if you want to read more about this important topic. Will My Living Will Be Effective At The End Of My Life? A living will is an oral or written statement about your end-of-life medical decisions. The concept of living wills came about in the 1960's when medical technology advanced enough to allow machines (tube feeding, ventilators, etc.) to keep us alive, even when there was little to now quality of life. Since this time, a great number of people have made their living wills, but studies have shown that living wills actually have not allowed "us" to die better deaths - i.e., many of us still die in hospital settings when we would rather be at home with family at end of life. At DeLoach, Hofstra & Cavonis, we are not just form preparers on any of our estate planning documents - our goal is to counsel our clients to help them make the best decisions regarding their end-of-life wishes. If you want to learn more about the effectiveness of living wills, lease see our Frequently Asked Questions on Living Wills. Naming the correct health care surrogate should not be a decision taken lightly. As many have experienced, the decision to withhold life-sustaining treatment can be extremely difficult. Your surrogate must have the will-power and fortitude to follow through with your wishes, even against the objections of family members. Our guide to choosing your health care surrogate may be very helpful to you. There is a world of difference between these two documents, although many of our estate planning clients will end up with both. A living trust is an estate planning device to avoid probate upon your death. A living will states your end-of-life wishes for your family, friends, physicians, etc. Should we update our living will? Maybe. Our law firm’s living wills have recently been updated and it may be a good idea to update yours, especially if it is more than five years old. Is my living will from the hospital good? Maybe. Some local hospitals use a living will that is very similar to our living wills, so your living will may be good. However, we would generally advise that any living will more than 5 years old be reviewed for accuracy purposes. What is the most important thing to know about living wills? Living wills have been shown to not be effective in helping people at end of life. There are a number of reasons for this. First, people lose their living wills so family members and healthcare providers never know they exist. Second, people frequently have vague or incomplete living wills. 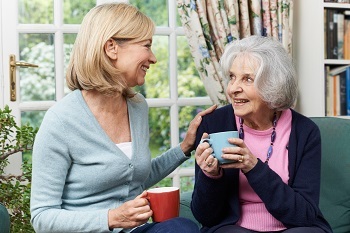 Third, while living wills are important, it is also important to talk to your family members about your care wishes and about your own experiences with others at end of life. Having a good conversation with your family may even be more important than a written living will. Planning ahead for your incapacity may be uncomfortable, but once this important task is done, you can rest assured that you will have the care you would have chosen and you have taken a great weight from the shoulders of your family. If you would like to discuss creating your own incapacity plan, contact our office to schedule your free consultation. Don't wait until it's too late!